As the Grim Reaper scythes his way though so many beloved celebrities this summer, it’s boom time for documentaries starring the recently expired. 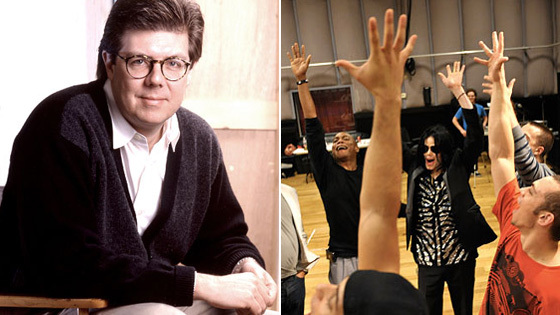 When we first heard the news that the rehearsal footage from Michael Jackson’s This Is It tour would be assembled into a movie and rolled out into theaters the day before Halloween, we doubted that Sony, the studio buying the rights for $60 million, could think of a way to make this whole thing any more unseemly. Turns out we underestimated them! Buried slightly in yesterday’s press release announcing a judge’s approval of the sale is the hilarious news that portions of the film will be in 3-D. But even though Captain EO 2 (that’s a working title) should pay off huge for AEG and the Jackson family, yesterday’s luckiest deal-maker was certainly Matt Austin-Sadowski, the director of Don’t You Forget About Me, a documentary on John Hughes that was picked up for distribution by Alliance. DYFAM features Austin-Sadowski and three friends knocking on doors in suburban Illinois, searching for the reclusive Hughes, who left Hollywood in 1995 (see trailer below). Included in the movie are interviews with Ally Sheedy, Judd Nelson, Mia Sara, Kelly LeBrock, Alan Ruck, and Andrew McCarthy, though Molly Ringwald refused to participate and there’s no word on whether they actually found Hughes (which means they probably did not). So, if anyone is sitting on the footage from Billy Mays’s last-ever infomercial, they may want to phone an agent.